In the vast universe that is Warframe, one of the worlds best free to play models just turned 5 years old and there has never been a better time to play then right now. But before I can explain why, I must first explain what Warframe is for those not in the know. Warframe is a free to play, multiplayer sci-fi action shooter/slasher/blowing stuff up and anything else you can think of kind of game, which was first released on PC back in 2013 by developer Digital Extremes. Later that year it was ported to the PS4 and the following year, to the Xbox One. Warframe takes place in a technologically advanced future where the player is a member of the Tenno, an ancient but powerful race of warriors that fight in suits of armor, called Warframes, hence the title of the game. and each set of armor comes with its own unique abilities. You can solo run the game or jump in with a team of 3 additional Warframes for some co-op fun across any of the available missions. . Additional offerings include, the ability to form or join a clan which opens up the possibilities for deeper interactions within the Warframe community. From buying, selling or trading between players to doing group research on locked weapons, there’s even an option for pvp (player vs. player) all within this well crafted social space known as the Dojo. The online interactions are plentiful. .
At the onset of the game you’ll pick from 3 different Warframes and are then thrust into the middle of a war spanning our entire solar system between the Grineer a force of human clones that have been cloned to the point of deterioration, the Corpus a mega-corporation who's forces are made up entirely by robotic soldiers of all kinds, and last but not least the ever encroaching Infested which are a biomechanical virus that infects both organic and non-organic life such as corpus and turns them into rabid amalgamations. The game starts out with a choice of warframe. You have 3 to choose from and a few options on starting weapons. Then you begin the tutorial which does a decently good job at teaching you the basics. After the starting quests you are then given access to travel about the solar system. Much like our own but with a few additions that color this fictionalized version. This is not an open space game but you do access navigation by walking to the front of your ship and making destination selections through a holographic version of the solar system. You pick a planet and it will show the mission types available. You start on the planet mercury and you've got to do missions to unlock other planets. Within your ship, there are a handful of items to interact with. 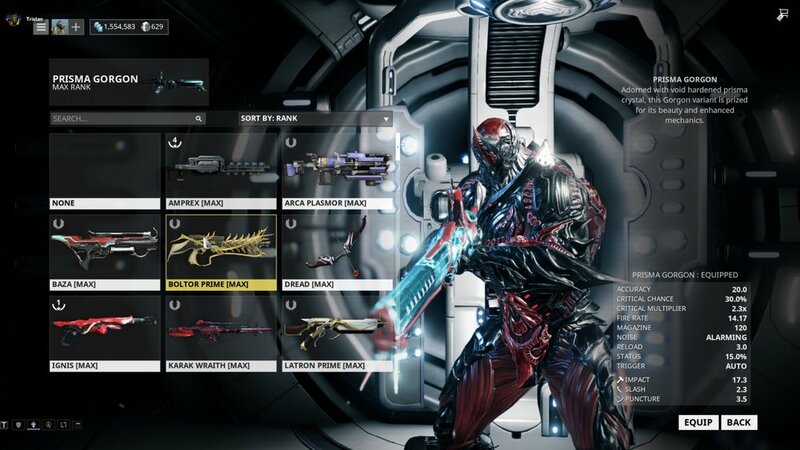 The Arsenal is where you’ll pick your warframe and your 3 weapons. There you can upgrade your warframe and weapons with “mods" which you use to increase the stats such as damage, defense and abilities. Most MODs will be found from enemy corpses. Additionally you can also change the look of each weapon for example their color or skins. Next is the foundry where you’ll build different weapons and warframes that require resources also found on enemy drops. Then the Mod bank where you can view and upgrade all the mods you have obtained. These are the basics that a new player would need to know, there are more things to explore in your spaceship but I've covered the bare bones needed to get started. Now that we know what warframe is and the basics of the game, why is now after 5 years the best time to play? The short and sweet answer is the sheer amount of content that exists in the game. Since launch in 2013 they have had 22 massive updates and many more small ones filled with an array of content and all while showing no signs of slowing down. Digital Extremes has been very receptive to the community by adding features that are popularly recommended. Things like fleshing out the end game content. . They even have quests that give story to the game and the different warframes, though I'll go more in depth later. Below I'm going to give you a breakdown of all the content that begs for your attention and really explain why they are worth your time. At launch Warframe started out with just 8 frames and that number grew to 53 at the time of writing this, though that number does include primed frames which are more advanced frames of the same name.hey have the same set of abilities but slightly better stats and a new look to them. They’ve also got their own lore in the Warframe universe. Digital Extremes is also reworking old frames to bring them to the standard of new ones and even tweaking not so old ones to keep the vision of each frame what it was meant to be. So every frame has their strengths and are worth playing. Now let's move onto the weapons, currently there are almost 300 weapons including the variants between primary, secondary and melee weapons, you will never get bored of the ever growing collection of weapons. Warframe has some of the most unique combat, there is really no equal. Truly the most unique feature though is the melee combat. 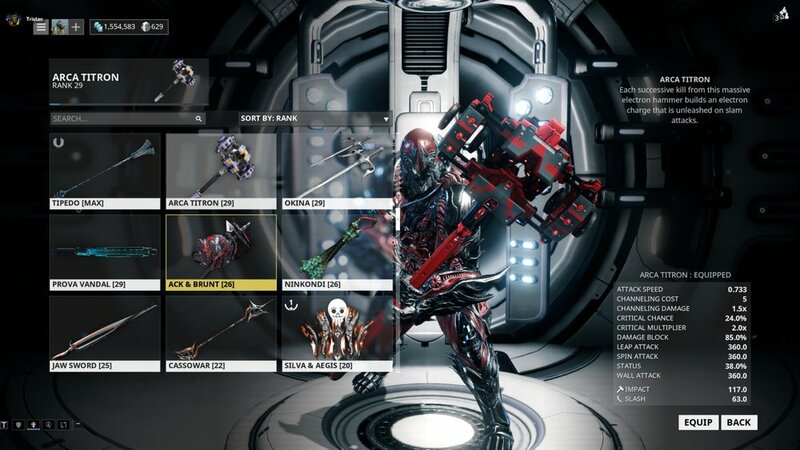 Back in “vanilla” Warframe the melee weapons were just something you would have on your back and you would hit the attack button make a quick slash then put it back. Now each type of melee weapon has their own stances with multiple to choose from and what they do is give your melee weapons combos or move sets in other words, and if that sounds cheesy to you then you have yet to try it. Using your favorite melee weapon with a stance you like best and running around doing your combos in spectacular fashion is some of the most fun one can have in this game. Just writing about this cannot do the melee system justice, it's more than worth a try just for that. The second chunk of content that desires your attention are the quests that have been added into the game over the last few years. New warframes are primarily acquired through quests which as you play, you find out about the lore of the warframe in question. This feature removes the need to farm for the parts of the frame like the old days. The other kind of quests are story quests. Besides the lore and speculation, no story existed a few years ago, now there are two story quests which take you on a journey to learn a lot about your warframes which are shrouded in mystery. They are extremely engaging and will hook you on warframe. Without giving to much away, the story quests answer all the right questions while still creating even more more mystery. It generates so much new lore that this game will keep you knee deep in the trenches for a very long time. Warframe has many missions spread out across the universe, some not even in the normal plain of existence your usually in, and warframe is generally a game that requires farming missions every now and again for resources in order to build things, that being said it would be extremely boring if you just played the exact same mission over and over and the developers are fully aware of that so they have slightly different tile sets for the same mission. Tile sets are different wallpaper on the same mission essentially. It can be slightly different or uncomparable from what it used to be. Also every single mission in the game will have you start in a random area, so to get to the same objective in the same spot you will start in a different spot every time and get there a different way going through a whole different set of rooms. That is a feature many will take for granted but one that makes a large difference. If by chance you're not sold on this game yet I applaud you for continuing to read this article. But the best kicker is….its free to play. Like I said in the beginning with and I'm not joking when I say this, thousands of hours of content. I have multiple friends with over 1000 hours into this game and I, myself am not too far behind at 800 hours. My friends and I have taken many breaks from warframe but it has a weird effect of dragging us back time and time again with new and amazing content that keeps us playing. A month ago if someone told me I would be hooked on warframe like never before after almost a year long break and even writing this article I would tell them they are crazy. I'm now happily drowning in all the new content that I'm overwhelmed, and that's not a bad thing, In fact the farthest thing from it. In the 5 years I've played warframe I have spent just over $200 dollars which might sound crazy, a free to play game has to make its money somehow right? So of course it has it's own premium currency. In no way will I ever regret buying it, this game isn't a pay to win, but more of a pay and be lazy. But another great thing about it is that Platinum (the game currency) is freely tradable on the community market and is easy enough to obtain by selling your things to people. That is what makes this game the best free to play model of any game. You don't need to spend money but if you like the game then why not give a little back to the developers. Especially when they give 20, 50 and even 75% off Platinum discounts for daily rewards. I don't know any game that I play this frequently after 5 years of dedicated play time and over 800 hours. Pick this game up on whatever platform you have, you will not regret your time. If I've convinced you to sign up use the code below as you make your account. It will help me out and it will give you a 7 day XP booster that doubles the xp you get for a week. Thank you so much for reading guys. Is Fallout 76 a Cash Grab?